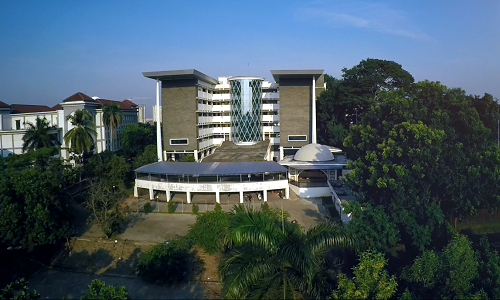 Rectorate building, UIN News Onlineâ€“The delegates from the Universities in Turkey visit UIN Jakarta to talk about the cooperation which will be built by both institutions. The group was greetd and welcomedÂ by the Head of the Institute for Research and Community Service (LP2M) Prof Dr. M. Arskal Salim GP MA and the Head of Center for International Cooperation (PLKI) Rachmat Baihaky MA, Tuesday (8/16). The delegation consisted of Prof Dr. Serdar Demiref from the Ottoman-Malay Study Center, Fatih Sultan Mehmet from Vakif University, Prof Dr. Ismail Hakiki Kadi from the Faculty of History at Istambul Medeniyet University, and Dr. Mehmet Ozay from Anadolu Agency (A state-run press agency in Turkey). 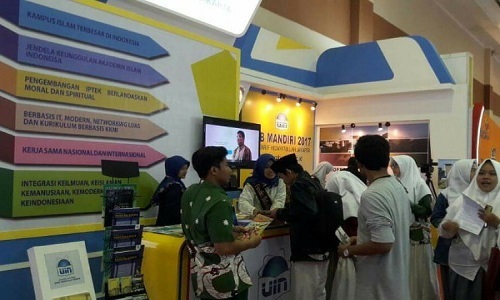 The head of LP2M said that UIN Jakarta is always open for cooperation especially in the field of education with any university, including Turkey. â€œWe welcome the cooperation plan, and expecting the mutually beneficial cooperation for both Universities. This cooperation includes the exchange of students, cultural, and language training,â€ he added. At the same place, Prof. Serdar Demirel expressed his gratitude and was very happy to collaborate with UIN Jakarta, especially in the context of scientific development at both institutions. “We hope this cooperation to be realized immediately to improve the scientific quality of both institutions,” he said.